Advantio aims to fully comply with the GDPR in all data processing activities. We value your privacy and we don’t gather personal information you don’t consent to sharing with us or that isn’t required for us to process in order to deliver you the best service and support as our customers have come to expect of us. We never publish, share or sell your information with your explicit consent. Any personal data that is shared with Advantio will be treated with the highest standard of security and confidentiality. We intend data from contacts who have opted to receiving our marketing information until they revert that opt-in or until they haven't engaged with Advantio content such as the website, emails or our colleagues after 2 years. We value our blog subscribers and we will not unsubscribe you as long as you visit our website and engage with our content. We do not want to unsubscribe any of our followers from our blog or marketing updates unless they do so themselves. 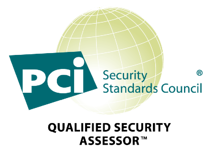 Advantio is required to store PCI data on our customers for at least 3 years with a maximum time limit of 10 years and one month. More detailed information can be made available to you through your account manager. Advantio will not use information in ways other than defined in this privacy statement. We will never sell, trade or otherwise share your personal data, anonymised or otherwise without your consent. This does not include trusted third parties or processors we leverage in our day to day business practices. These trusted partners might be agencies or software providers. According to the article 29 of the GDPR, we only work with GDPR compliant processors and joint controllers. It may occur that we have to release personally identifiable information to European government bodies when we are mandatory to do so in light of your vital interest or public interest. Personally identifiable information includes information which can be used to identify you. Examples of personally identifiable information are your name, email address, your address and phone number.